A wide range of architectural subjects are covered in this collection of new books, from café interiors to art nouveau and beyond. 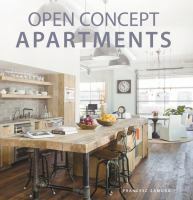 Those looking to downsize may be interested in our books on apartment living and container housing. If you want to take downsizing to the extreme, we even have a book on architecture for your pets! This month’s selection of new design books features Defined by Design, a book that delves into the hidden biases in everyday things, and how this ineffective design can affect our self-image, and even our health. From clothes to buildings to public transport, one size does not fit all. Robot house : instrumentation, representation, fabrication / Peter Testa ; forewords by Greg Lynn and Eric Owen Moss. The botanical hand-lettering workbook : draw whimsical & decorative styles & scripts / by Bethany Robertson. The red thread : Nordic design. Defined by design : the surprising power of hidden gender, age, and body bias in everyday products and places / Kathryn H. Anthony. Jump start responsive web design / by Chris Ward. The Shard : the vision of Irvine Sellar / Howard Watson. Illustration : what’s the point? / Mouni Feddag. Travels with Frank Lloyd Wright / Gwyn Lloyd Jones. 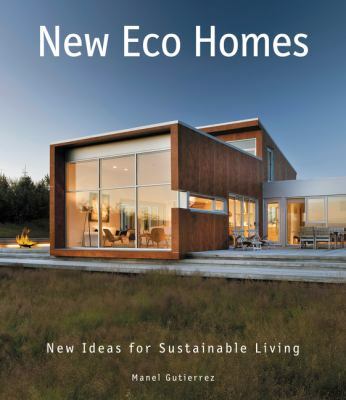 Several exciting new titles have been added to our design & architecture sections recently, so take a look below for books on the past, present, and future of design, and examples of architects designing their own abodes for living and leisure. Enjoy! The new web typography : create a visual hierarchy with responsive web design / Stephen Boss, Jason Cranford Teague. Where architects stay : lodgings for design enthusiasts / Sibylle Kramer. Print & pattern : nature / Bowie Style. Architects’ homes / edited by Bethany Patch. The latest design and architecture books range in topics, from Bauhaus to Breuer, patterns to prefabs, all the way to the design history of India. Have a browse, and take inspiration from these exciting new selections. Prefabulous small houses / Sheri Koones ; foreword by Robert Redford. Living with pattern : color, texture, and print at home / Rebecca Atwood ; photographs by Emily Johnston. Sār : the essence of Indian design / curated by Swapnaa Tamhane and Rashmi Varma. Linocut for artists & designers / Nick Morley. Graphic storytelling and visual narrative : principles and practices from the legendary cartoonist / Will Eisner. Bauhaus / Boris Friedewald ; translated [by] Christine Shuttleworth. 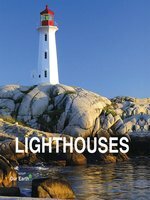 50 architects, 50 buildings : the buildings that inspire architects / edited by Pamela Buxton ; photographs by Gareth Gardner and Edward Tyler. This month’s selections feature an exciting overview of Penguin Classics book covers, a stylish coffee crawl of the USA, a peek at long-gone art deco airports from the early days of commercial air travel and much more! Dive in and discover something new today. Classic Penguin : cover to cover : a visual celebration of Penguin Classics / edited with an introduction by Paul Buckley ; book design by Matt Vee. Fashion packaging now / edited by Chris Huang. Stand out : design a personal brand, build a killer portfolio, find a great design job / Denise Anderson. Landscape and garden design sketchbooks / Tim Richardson. New Thai style / photography Michael Freeman ; texts Kim Inglis. Coffee culture : hot coffee + cool spaces / Robert Schneider. Art deco airports : dream designs of the 1920s & 1930s / Terry Moyle ; illustrated by Rosie Louise and Terry Moyle. How to read New York : a crash course in Big Apple architecture / Will Jones. Living under the sun : tropical interiors and architecture / edited by Michelle Galindo, Robert Klanten and Sven Ehmann ; text and preface by Shonquis Moreno. This brutal world / Peter Chadwick. This month’s picks include culturally unique interiors, furniture design, imagery from Broadway, and tiny architecture. You’ll also find the first season of the New Zealand edition of Grand Designs on DVD in our collection now. Something for everyone! Brazil modern : the rediscovery of twentieth-century Brazilian furniture / Aric Chen ; foreword by Zueler R.M. de A. Lima ; introduction by Zesty Meyers. On Broadway : from Rent to Revolution / Drew Hodges ; edited by Garth Wingfield ; introduction by David Sedaris ; foreword by Chip Kidd. Script fonts / collected and designed by Geum-Hee Hong with assistance from Lydia Stockert and Julia Kromer. 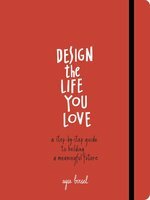 An interesting and insightful collection of new design & architecture books this month focus on using design to get the biggest bang for your buck. Read about all these ideas in the books selected below! 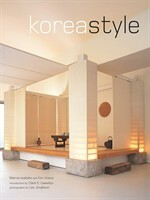 Eco living Japan : sustainable ideas for living green / Deanna MacDonald ; foreword by Edward Suzuki ; preface by Geeta Mehta. Partners in design : Alfred H. Barr Jr. and Philip Johnson / edited by David A. Hanks. Please make this look nice : the graphic design process / Peter Ahlberg. How to read modern buildings : a crash course in the architecture of the modern era / Will Jones. Sprint : how to solve big problems and test new ideas in just five days / Jake Knapp with John Zeratsky and Braden Kowitz. Designing products people love : how great designers create successful products / Scott Hurff. This month’s picks gather an eclectic array of topics, ranging from gothic to green architecture, and Sharpie art to Scandi design. Enjoy! Fifty under fifty : innovators of the 21st century / [edited] by Beverly Russell, Eva L. Maddox & Farooq Ameen. Gothic for the steam age : an illustrated biography of George Gilbert Scott / Gavin Stamp. The greenest home : superinsulated and passive house design / Julie Torres Moskovitz. Sharpie® art workshop : techniques & ideas for transforming your world / Timothy Goodman. Japanese art and design / edited by Gregory Irvine. Making sense of Buddhist art & architecture / Patricia Eichenbaum Karetzky. Selling the dream : classic New Zealand tourism posters / Peter Alsop. Scandinavian home : a comprehensive guide to mid-century modern Scandinavian designers / Elizabeth Wilhide.